Update 22:24 UTC : List of the most recent earthquakes closest to today’s epicenter. Interesting to see is that almost all of these earthquakes are very deep, this due to the movement of the Oceanic plate towards the south (she dives below the Caribbean plate). The tectonics of this Caribbean area are very complex with a number of sub-plates as well as dangerous transform faults, like the one who generated the cruel Haiti earthquake. Transform faults are resulting in a mainly horizontal movement which can generate a lot of damage to not properly build houses. Update 21:57 UTC : The main reason why this earthquake was felt in such a wide radius (Puerto Rico and Dominican Republic) is the depth of the hypocenter or breaking point. Although the radius is very wide, the concentrated shaking at the epicenter is luckily also a lot weaker. When this earthquake would have been shallower the risk on serious damage would have been a lot bigger. Update 21:46 UTC : USGS has increased the Magnitude again to M5.8 at the same depth. Below the shaking intensities for the most important cities close to the epicenter. Update 21:39 UTC : USGS has recalculated the Magnitude and has set it now to M5.7 at a depth of 91 km. USGS projects a max. Moderate shaking in the eastern part of the Dominican Republic and a weak shaking in Puerto Rico. Update 21:35 UTC : The earthquake will surely NOT generate a tsunami. Update 21:32 UTC : The preliminary earthquake Magnitude values are in between 5.3 and 5.8 at a depth of 100 km. This means that there is only a limited chance on serious damage. The deeper the hypocenter is, the less chance on damage. You might be feeling a strange sensation lately – like slipping into other realms of thought, perspective or consciousness. It can be manifest in very mundane incidents, and it can be very perceptually profound. It’s not easy to identify, much less classify. HAARP cost more than $290 million to build, much of it earmarked by late Senator Ted Stevens (R-Alaska), who had great influence over the U.S. defense budget during his time in Congress. The site was host to numerous projects over the years, including the creation of the first man-made aurora in 2005. The site’s generators now require remediation to meet the environmental standards set in the Clean Air Act, an expense no one seems keen to take on. ER expects even stronger aftershocks in the earthquake epicenter area. These aftershocks will gradually reduce in strength but can go on for weeks. Limnos, Greece (closest Island South-West of the epicenter) : I was waiting for a flight at Limnos airport when the earthquake struck. Very strong and violent shaking which lasted for approximately 30 – 40 seconds after an initial couple of large jolts. Ceiling tiles fell and difficult to stand up. Cracking noted around the base of the building and at the top of columns. Update 23:02 UTC : The most official number we could find about the injured was reported by the Governor of Cannakale. He said that 278 people were injured. The vast majority of them could return home after treatment. – 2 churches and 10 mosques have been damaged to various extend. Update 09:52 UTC : The Geofon preliminary focal mechanism of this earthquake looks very bad as it shows a strike-slip type earthquake with a mainly horizontal movement. Update 09:49 UTC : The first aftershocks are already raging in the epicentral area. Some stronger than M5! Update : Preliminary data are showing M6.4 at a shallow depth of 6.4 km. Hard to say whether strong waves will be generated because we have no Focal Mechanism yet. Where does the time go? you can find yourself running ahead of and falling behind schedule from one moment to the next. This can be quite perplexing, but there is a message in all of this. Time is not what it used to be nor is it quite yet what it is becoming. Oh, and it is time to lighten up on all levels, if you have not done so already. Things are changing as the energies ebb and flow. You are changing as your perspective has shifted and your priorities are likewise beginning to change. This is a day when you will become aware of some things that have been hidden, but things you knew all along. This is a day for knowing what is right for you, what is completely wrong, and what you are putting up with. Start the day grounded and connected. Then take a moment and feel what it means to be connected to the Ground of All, to know that there is safety around you if you will open and allow, seeing that things are not always the way they seem in the 3D world. 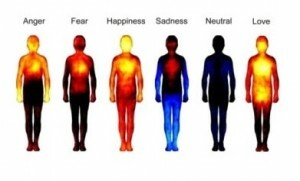 There can be some emotions associated with this exercise. The difficulty lies in allow yourself to be in that mode as you feel that it removes you too much form who you are. The truth is that you are moving into WHO you are and that involves some shifts of perspective, changes of taste, and revisions of old programs. You will find these things coming your way today. You can know through this what your personal power means. There is a lot of electricity in the air these day, both literally and figuratively. 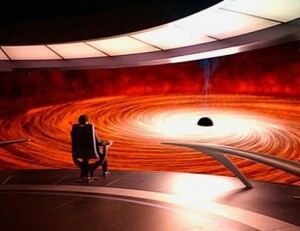 This is not a time to question or contend, rather it is a time to watch and see how things are fitting together. The larger pattern again is morphing, and you will be feeling it today. You also are in a state of flux, and you can find yourself questioning a lot of your most deeply cherished ideas and preconceptions. Let it be. Take time to see what is confounding you. Take time to see what it is that you are not making sense of. We are in a time in which sense makes no sense and nonsense is logical. 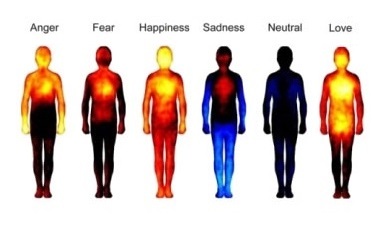 You will feel that today; you will find that in the current energy. There can be a lot of fun in all of this. Check out Chromo Lady on Facebook for more consistent ColorScope updates along with amazing photos. 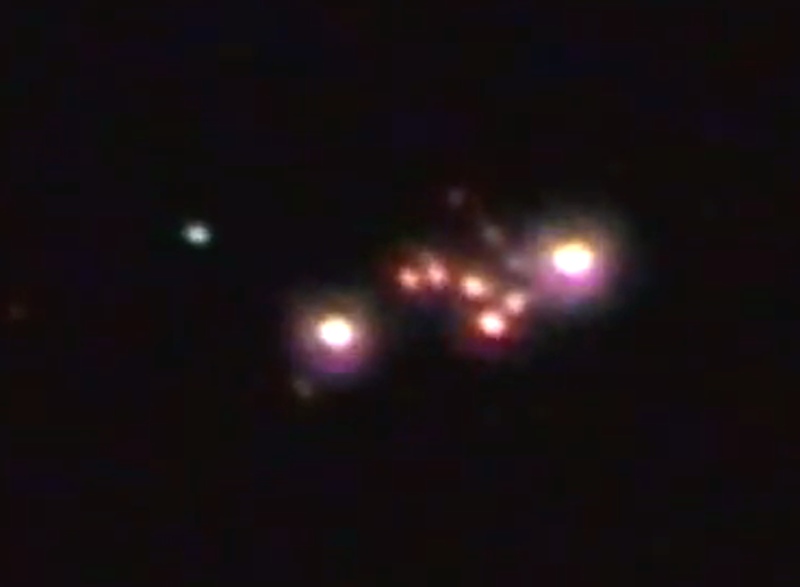 UFO returns over Oregon May 20th 2014, VIDEO, UFO Sighting News. 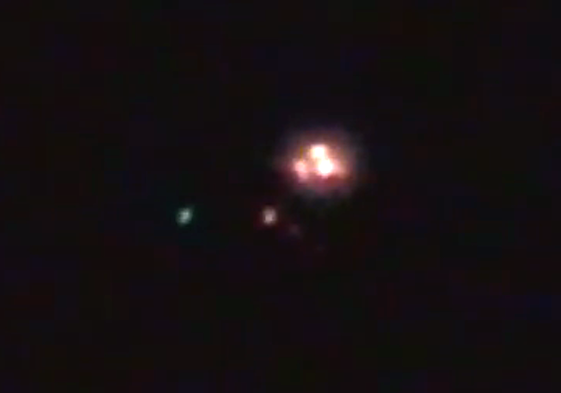 After months of little activity an interesting object returns over Oregon skies. An impression or premonition came over my senses even to the point of starting the camcorder early on.